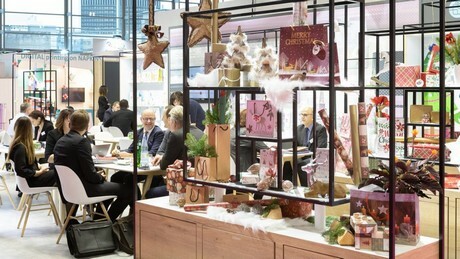 The three consumer-goods fairs in Frankfurt – Christmasworld, Paperworld and Creativeworld – opened the new business season with future-oriented topics and the latest trends. 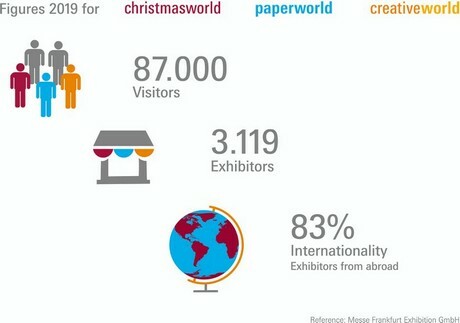 3,119 exhibitors from 68 countries inspired the national and international trade with innovations from the fields of seasonal and festive decoration, paper, office supplies and stationery, and hobby, handicrafts and artists’ requisites. "Unique product mix and emotionalization inspire the trade"